At Assisting Hand Home Care, our caregivers provide custodial care (personal care) for senior citizens to help them with activities of daily living (ADLs) in Lombard, Villa Park, Elmhurst, Addison, IL and surrounding areas in DuPage County, IL. Our caregivers also provide seniors with companion care and get to know them through good conversation and fun activities. It is very common for seniors to experience feelings of loneliness, especially if they live far away from their family and friends. This loneliness can easily lead to depression. Our caregivers at Assisting Hands can help reduce feelings of loneliness and depression for your senior loved ones by providing excellent companion care services. We consider ourselves more than just caregivers, we will build a personal relationship with your senior loved ones while providing them with home care assistance. If you have senior loved ones in Lombard, IL and surrounding areas in DuPage County, IL who could benefit from in-home care and good company, contact Assisting Hands Home Care at (630) 313-6160 to learn more about our custodial care and companion care services. Assisting Hangs provides complete companion care and custodial care services for seniors in Lombard, Villa Park, Elmhurst, Addison, IL and surrounding areas in DuPage County, IL. Each of our caregivers are licensed, bonded, and insured, and they must pass an extensive background check. 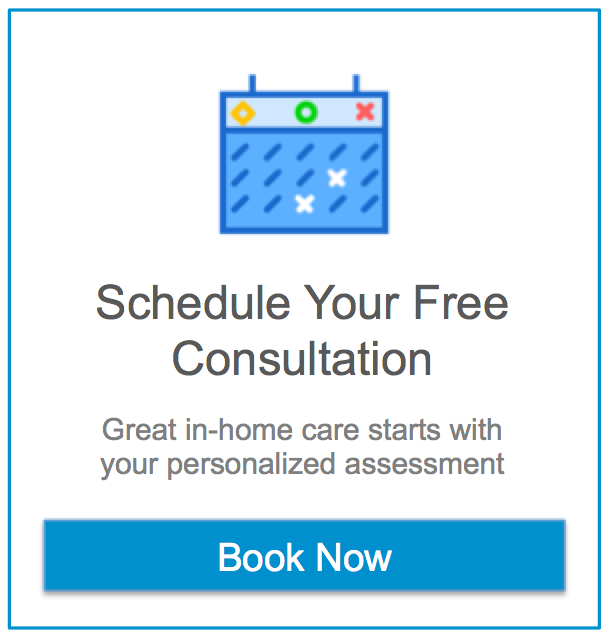 This helps ensure that the caregivers we send to the home of your loved ones are not only highly qualified to provide excellent personal care, but also have the personality to be a great companion for your loved ones. We provide a range of personal care services to help seniors and adults with disabilities with activities of daily living (ADLs). While providing personal care, we will get to know your loved ones and engage them in their favorite hobbies and activities. Personal Care (Custodial Care): Our caregivers can help your loved ones with ADLs including bathing, dressing, eating, incontinence care, medication reminders, oral hygiene, walking and personal mobility, transferring to and from their bed, chair, or wheelchair, toileting, and other services tailored to meet individual needs (See Full List of ADLs. Meal Preparation: Overall health and well-being can be improved by ensuring your loved ones are receiving healthy, well-balanced meals. Nutritious meals play an important role in maintaining good health. Our caregiver will assist with the grocery shopping, prepare the meal in accordance with dietary restrictions, serve the meal, provide eating assistance if necessary, and clean up afterwards. Grocery Shopping and Errands: Our caregivers will help your loved one with their grocery shopping, prescription pickups, going to the post office, and other personal errands. Light Housekeeping: Our caregivers can help your loved one with housekeeping duties including vacuuming, washing dishes, laundry, dusting, bed making, sweeping, mopping floors, taking out the trash, and other light duties. Companionship: Providing your loved ones with companionship will always be a part of our home care services. Our caregivers will engage your loved ones in pleasant conversation, recreational activities, hobbies, games, and other fun activities. If your senior loved ones in Villa Park, IL need a caregiver who can provide them with home care assistance and companionship in their home, call our professionals at Assisting Hands Home Care. We will evaluate the care needs of your loved ones to form a care plan and assign a caregiver who will be an excellent companion for your loved ones. Give us a call at (630) 313-6160 for a free estimate or in-home consultation.